©2017 Associated Fire Protection, Inc. All Rights Reserved. We are your special hazards partner, whether you’re an end user or a competitor. Every environment we’re called to protect with special hazards has highly sensitive and valuable data, assets and equipment. All are unique, and many are complex and challenging. What sets Eastern Fire Suppression apart from other companies is our decades of experience in unique, complex and demanding systems. We’re well-versed in designing, customizing and installing systems in the most challenging areas, from national data centers to turbines that power a population’s electricity. We know what fire protection system, detection and configuration you need to put out a fire quickly, efficiently and effectively with little or no damage, and little or no business interruption. We’re SOLUTIONS-FOCUSED and passionate about what we do. We often assist our competitors who call us in to consult on their most complicated systems, and have also consulted for a major distributor on their system designs. 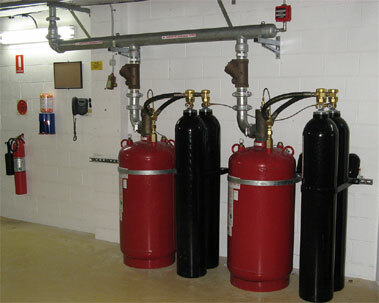 What is a “Special hazards” fire suppression system? 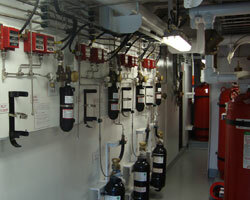 A special hazard is a complex area in which the normal methods of fire protection—including sprinkler systems—are not enough, and where uniquely configured and highly sensitive heat and/or fire detection is necessary to protect valuable assets and to mitigate interruptions in your business operations. This may include the protection of medical records, museum contents and expensive and high-technology equipment; valuable and vital processes such as telecommunications and energy facilities; or areas such as paint spray booths and computer rooms. What agents do we use in special hazards systems? Our aim with a special hazards system is first to protect people, and second to limit damage. We use clean agents (FM200, Novec, argonite, inert gas), CO2, dry chemical or water mist, depending on our objectives. We are always happy to explain your options when it comes to code requirements and types of systems available, and answer any questions you may have. All of our systems include design, installation, inspection and maintenance.